I thought you might like to read the story behind my wedding ring. When we I were dating he asked me to listen to a song on his car cassette. It was the song that I’ve never heard before but the lyrics meant a lot to both of us. It was a song by Jim Croce and it was called ‘Time in a Bottle’. Later that week I was heading off on holiday without him and I was flying to my destination. I was a little scared of flying at that time but imagine my shock when I stepped onto the plane and was greeted by the air hostesses and also by this very song. It felt like one of those eerie moments when something was telling me that we were meant for each other. It wasn’t long after that that we got married. I’m not into engagement rings but I did fancy a wedding ring with a little diamond in it. 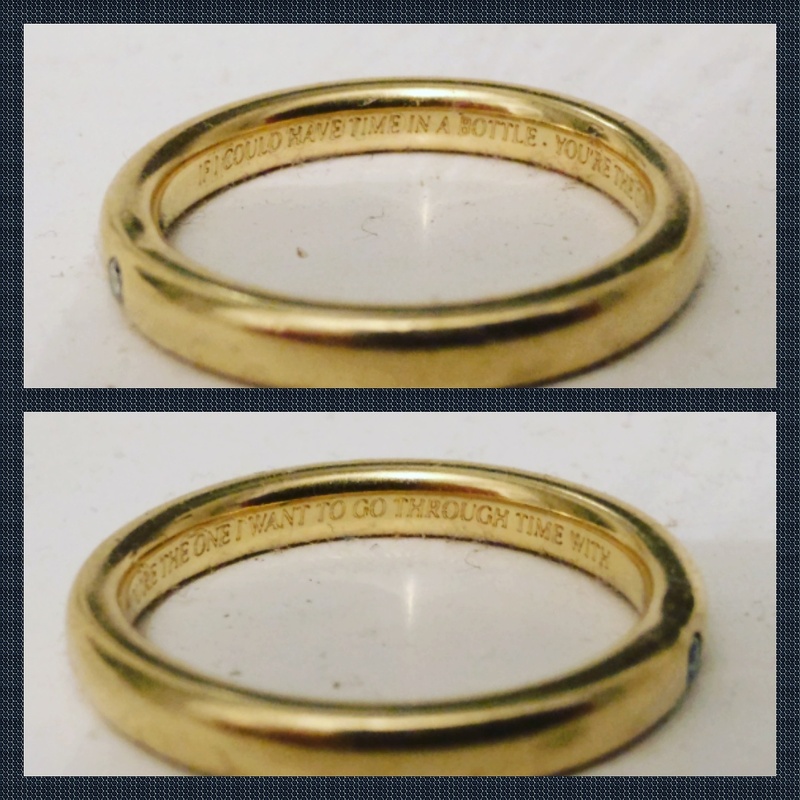 I also wanted to engrave a message on the inside of the ring. My husband didn’t know that I had engraved this on the inside of the Ring until we celebrated our 5th wedding anniversary. When I showed him if he was totally gobsmacked.